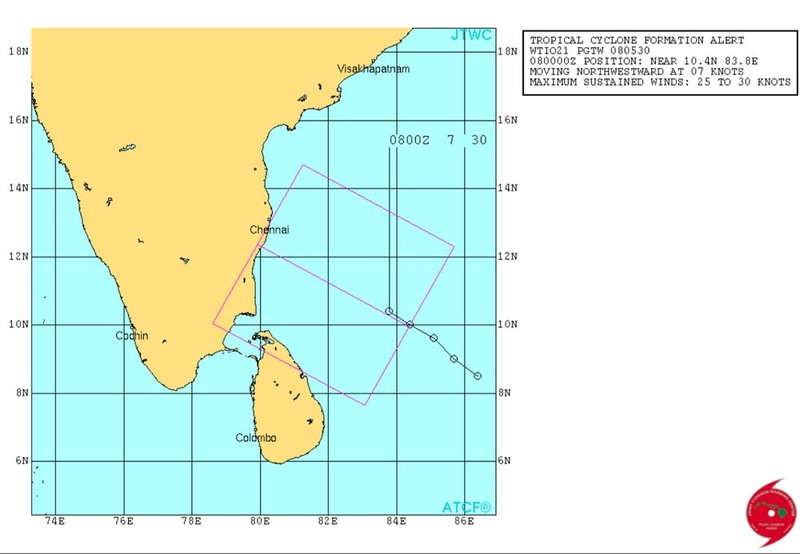 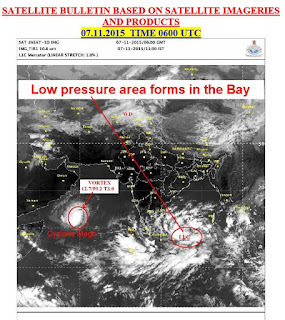 A Low Pressure Area has formed in the Bay of Bengal and as per IMD, it is likely to intensify into a well marked low pressure and then become a depression in the next 48hrs. 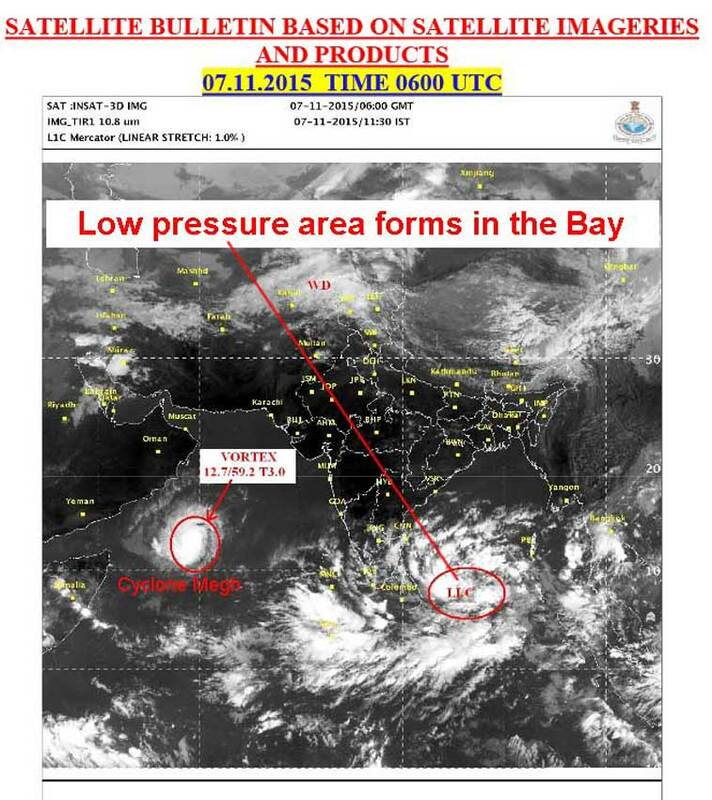 IMD has upgraded the storm from a 'well marked low' to a 'depression' in their midday weather bulletin. 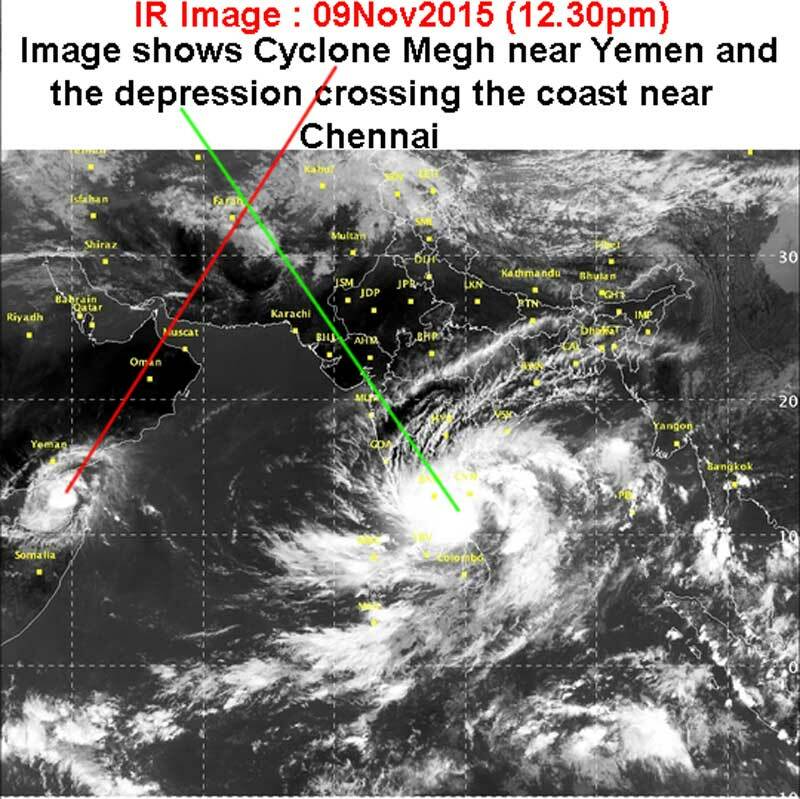 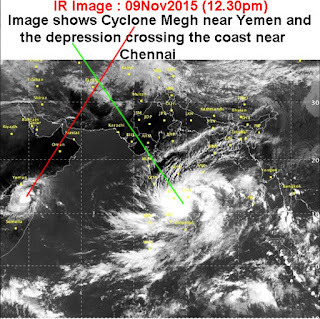 The depression has moved inland and has weakened into a low pressure area and lies north of Tamil Nadu.